I've Scoured the Web to find inspiration so you don't have to! Please check out the Original Sources to see more information or for directions! 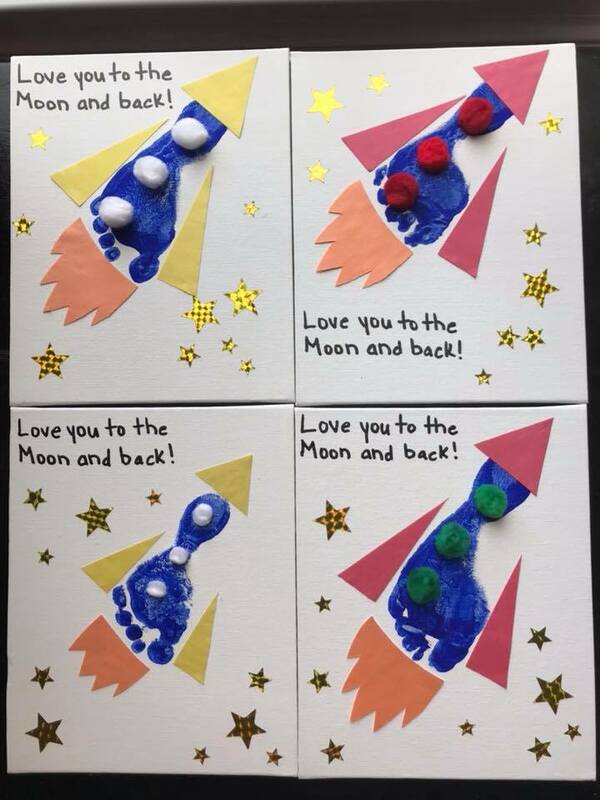 Dads are going to enjoy anything their little ones make. I especially enjoyed giving personalized gifts that they can look back on and reminisce about how young their children once were. Some of my favorite gifts to give are handprint crafts, or photo albums that contain childcare photos of their children from the year. 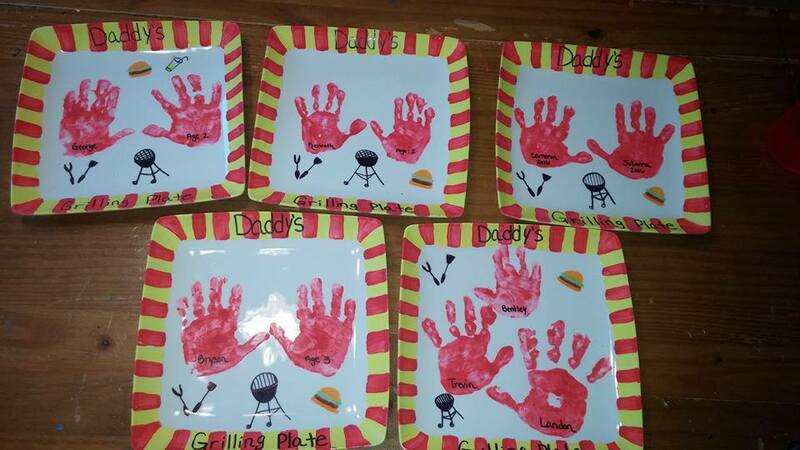 Aren't these grill plates shared by Community Member Jenna L. so adorable? 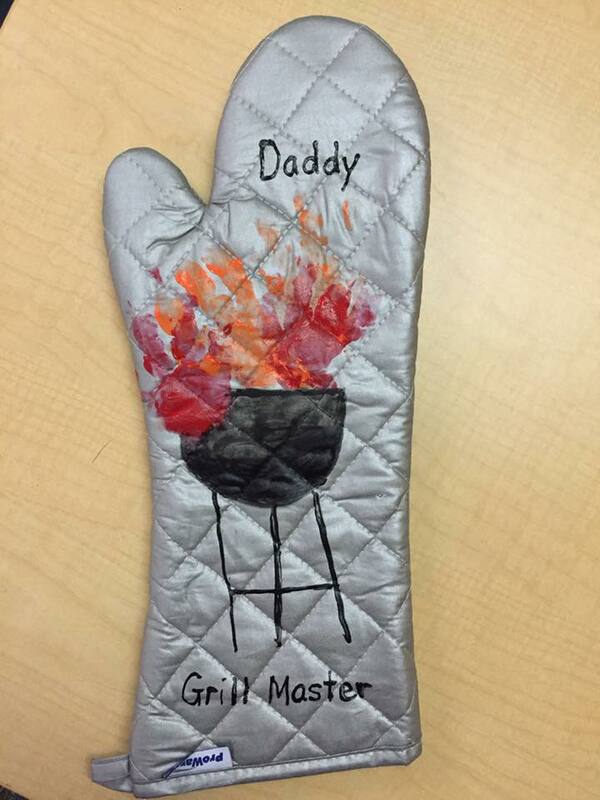 Community member Debra R, shared this grill mitt gift she made for Father's Day! These personalized drink cozies Rosann K. shared are so sweet! 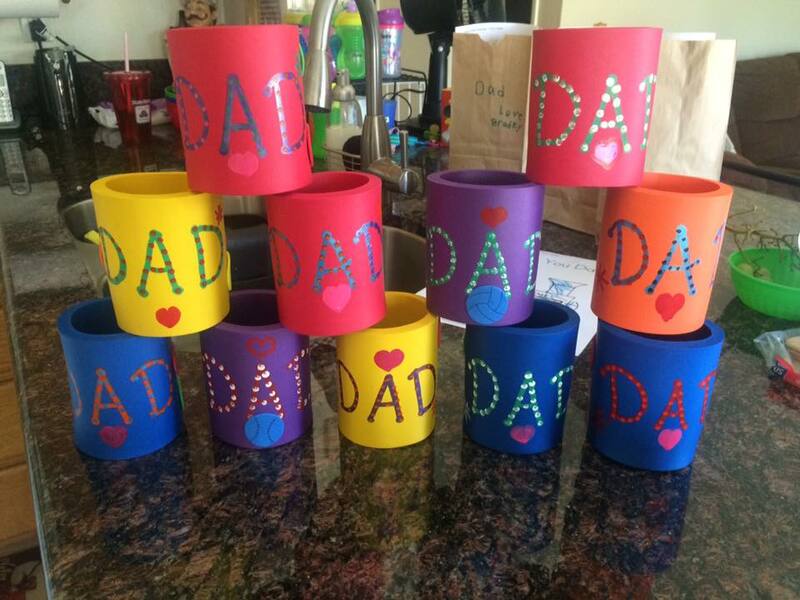 This Father's Day craft Karen M. shared can be made by kids of all ages. 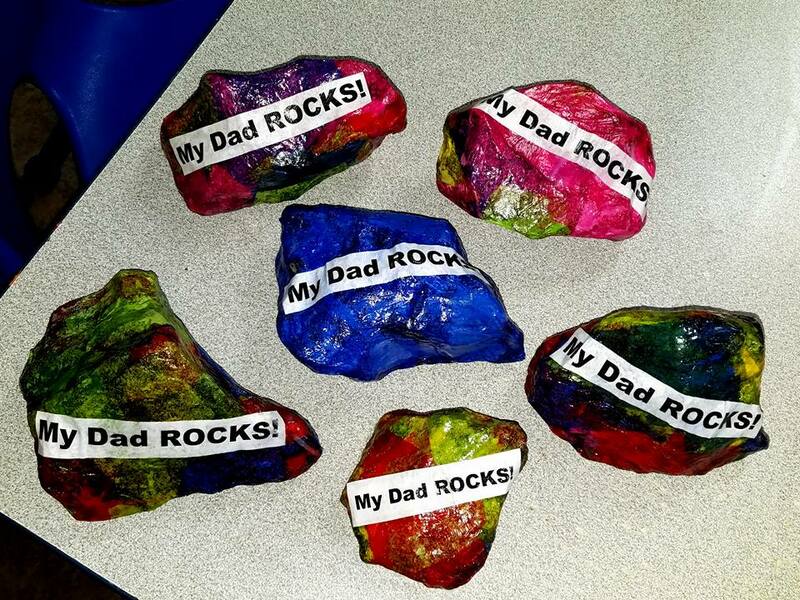 This sweet keepsake for father's day was shared by Community Member April D.
Set up your learning spaces for this theme! Dress like Dad. Do a little research to find out what professions the Father's in your Childcare are in. Add dress shirts, Suit Coats, neckties, Helmets, Men's Shoes (Boots, Dress Shoes), Keyboards, Cell Phones, Keyboards, Tool Boxes, Brief Cases, etc. to your space. 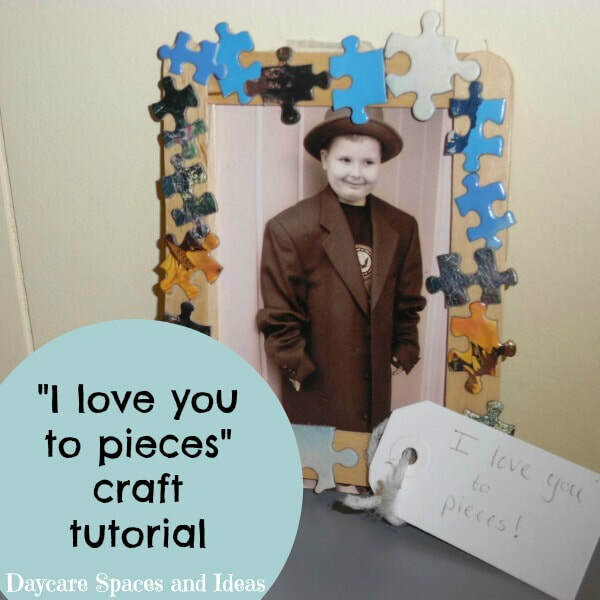 Add Photo's of your Daycare Father's to the space. Set up a Grilling area in your Dramatic Play Space this week. Add pretend Dad figures to the building area this week. Add a work bench and tools. For Father's Day many Provider's want to throw a special party for Dad, or send him off to work with a special snack. 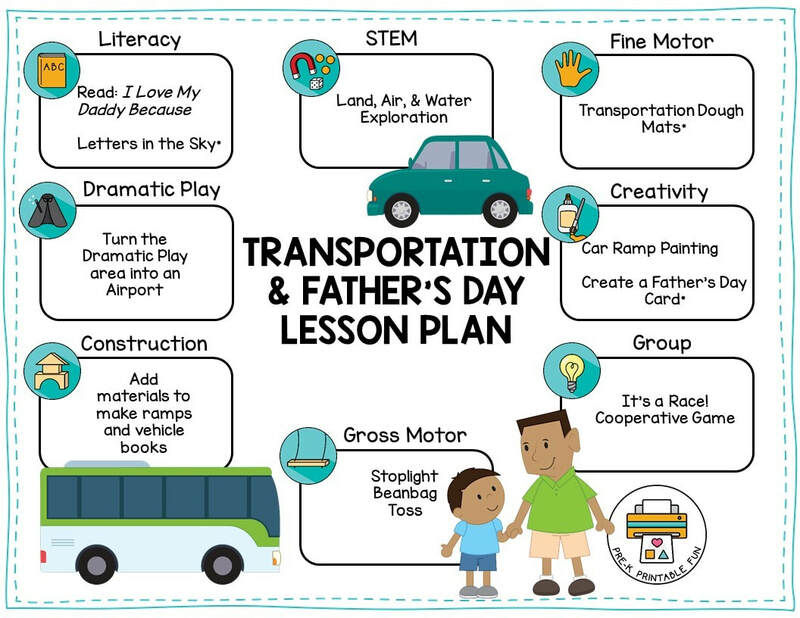 The kids will enjoy reading about Dads, and doing activities that Dad likes to do. If you have photos of your Children's parents it may be fun to play "Dad Match", it's also a fun time to learn about Adult animals and Match them to their babies. Save time with a Pre-K Printables Club Membership! ​Find out more about the Club here! Following along with my free lesson planning pages? Collaborate and share with others in my FREE Lesson Planning Forum!